The Audio Guides are the voice recordings of the Virtual & Augmented Reality (VR/AR) contributions in different languages! Special thanks to: Krissa Nakazato (Japanese), David Lin (Japanese), Rick Xu (Mandarin), Patience Lee (Cantonese), Juyeon Hong (Korean), June Kim (Korean), Bektur Ryskeldiev (Audio editing), Kim Baumann Larsen (Audio editing). 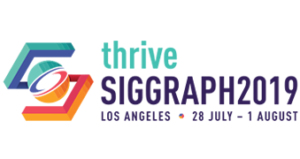 Below are links to written transcripts of all the SIGGRAPH Asia 2018 Virtual & Augmented Reality (VR/AR) content in multiple languages.